18 June 2017 by . Father Tomislav: Dearest Brothers and Sisters, I wish you a happy Feast of Corpus Christi. All of us who are following the way of Jesus Christ in this time are watching the events occurring on the Earth and in the universe, and we are trying to figure out the truth. All the events we see with our own eyes and of which we hear many explanations are not enough to open the way within us, for God is mystery and His ways are inscrutable. God does not clarify the event by explaining them through human knowledge; otherwise He would not be God and he would not take us to the mystery where we find the light. Thus, He nourishes us with the means that lead to the mystery and that go beyond human knowledge. This is very important in today’s celebration of the Blessed Body and Blood of Christ, but I also tell you, that we are very close to a great feast for the children of Mary: the apparitions of the Most Holy Mother of God in Medjugorje, Queen of Peace, who has remained with us for so long and who has promised to remain with us, the new people, forever until we are introduced in the new creation through Jesus Christ. Thus, it is very important that we look deeply in our soul to recognise what our Lord Jesus Christ offers us in order to understand the events both on Earth and in the universe. The church has defined her identity by finding it in the Eucharist. She has defined the truth, but we cannot say that she lives it exactly in the way God has transmitted it. Today, in the first reading of Deuteronomy the Jewish people questioned their identity. Despite the vivid memory of the liberation from Egypt, of the miracles at the Red Sea and in the desert, of the entrance in the Promised Land, the punishment they suffered for their infidelity, despite all this, the people had lost their identity and wondered about their identity. Thus, Moses said, “Remember, … listen, Israel ….” And we have to immerse ourselves in inner listening so that our soul may open up to the truth of God in order to rediscover the Eucharist. Let us understand Jesus’ words and the words we hear so often in the sermons, that is, that we are purified by the blood of Christ; that we are regenerated by the blood of Christ; that we have resuscitated with Christ; that we have defeated death through His Pasqual passage. But do you Christians recognise this truth? When the people come out of the Eucharistic celebration on Sundays, do they look like risen, elevated people, filled with life and the divine substance? Are they similar to the glorious Christ? Ask yourselves. And you who participate in the daily Mass, do you return home regenerated, illuminated by the words you hear in church? Does the Sunday celebration bring liberation from all fears and worries? When attending the Holy Mass, do you feel healing, conversion and transformation into new persons? I will not give the answer, but I invite you to watch and observe yourselves. What do our celebrations produce? What are the Christians like nowadays? Do they have a hopeful response to give to this desperate world, to this world at war and in trouble? Is the Church with the power of the Risen Christ able to indicate the way and pave the way for humanity? We have announced great things. 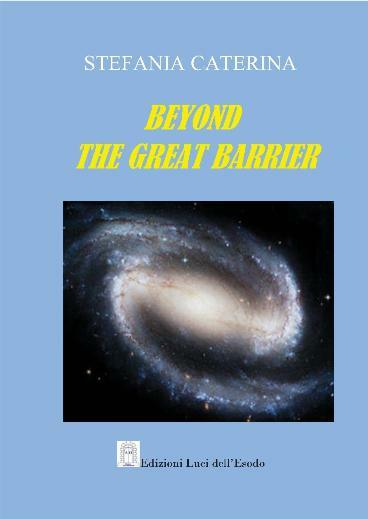 We have announced that the Lord Jesus is acting in the universe faster than ever to take us to the new creation. However, the new creation will not come about magically; it has to be fulfilled within us, step by step, with the transformation into new men who have received a seed at baptism and are always helped by the sacramental means, especially the Holy Eucharist together with the Most Holy Mother Mary. The question is, how do we participate, in what way? We have explained to you that everything that takes place in the universe first takes place in the microcosm, in each one of us or between us in the Christian communities, in the consecrated communities. Jesus has offered His life for us, and we say that He has offered His Body and His Blood, and that we can eat and drink it. What does this mean? It means that His Body and His Blood are a vehicle for our soul, a vehicle that gives us the life of God, the divine substance that places into us the powerful victory over death, illness, all evil: the victory over the devil; the victory over the spirit of the world. And we are filled with life by participating and in the Body and Blood of Christ, that is, the life that has already defeated evil. If our soul absorbs this, our body too will serve and must be offered to Christ to pass on what it has received: the life of God. Thus, you see that our body becomes a vehicle to communicate the divine substance to others in a marriage, in the family, in our churches, at work. The Spirit of Jesus Christ, the victor over evil, death and illness is communicated to the outside world through our body, and this defeats the world and defeats evil. For us who consider ourselves a new people, who want to go to the end to reach the new creation, to reach the mystical union with Christ, it is indispensable to review our way of participating in the Most Holy Eucharist. We have a Trinitarian power within us that changes us and changes the world. If we absorb this power; if we transmit it through our gaze, through our “Yes, Yes” or “No, No”, through our attitude, the world will change, the universe will change. How does it change? Because this power, which expresses itself especially in the fraternal communion, pushes away evil from the community; it pushes away the spirit of evil and attracts all the forces of the universe. St. Paul says that we are one body. Think about the whole universe that belongs to Jesus Christ. How much power is communicated to us by the Archangels, the angels, the faithful brothers and sisters, the saints. How much suffering do the souls in purgatory take away from us by offering themselves. If we receive the power of resurrection in the Eucharist, what happens to death and the illnesses? They become weaker. This is what St. Paul says. If we really eat the life of Jesus and receive His life, death in us will be defeated and the illnesses will become weaker. Why do no miracles occur during the Eucharist in the celebrations? Why do no healings, no conversions occur during the Sunday Masses? Because they are celebrated out of habit and in a superficial way. Therefore, the new people must lift their head and experience the Eucharist with dignity. The participation in the Pasqual passage obliges us to pass from slavery to freedom. How many human means do we apply against our inner problems whereas there would be the Trinitarian power to regenerate our life. This is what we have to rediscover. It is not enough to make more or less theological discussions about whether Christ is present within us or not. We have to manifest Him and that’s all. As Jesus said, “This is my body“the priest says, “This is my body”, and he should manifest that body, that blood that defeats evil. The Christians participate in the Body and in the Blood of Christ; they must chew it and absorb it, as St. Ignatius of Antioch said, so that it may express its whole power. We are one body, and I turn to you all on the Earth who will listen to our words: we must be one body. Perhaps we do not know each other and have never met, but this does not mean that we are not one body in Christ. Christ, who is the King of the universe, the only Priest, unites us in His Body and we become the Body. If we truly participate in His Body, we participate in the life of each other and the weaknesses, the pain, the joy and the strength of each other. For this we turn to the saints, who are powerful, because we are one body with them. We are different organs, different cells of the Body of Christ in a mystical way, and this is the way leading to the mystical union of all children of God in Christ. We have to become the Body by loving each other with the Love of Christ and also be ready to experience the trials with love for our brothers and sisters who are in trouble. We all see the difficulties the men, the Christians, have now on Earth. We cannot save them through our ideologies, not even through perfect theories, but we can save them by recuperating them through our participation in Christ who offers Himself to the Father for us, and we offer ourselves to Him for all the children of the world who are lost, seduced, suffocated by an amount of propaganda that has never occurred since the creation of the world. We have all the power in us to do this. 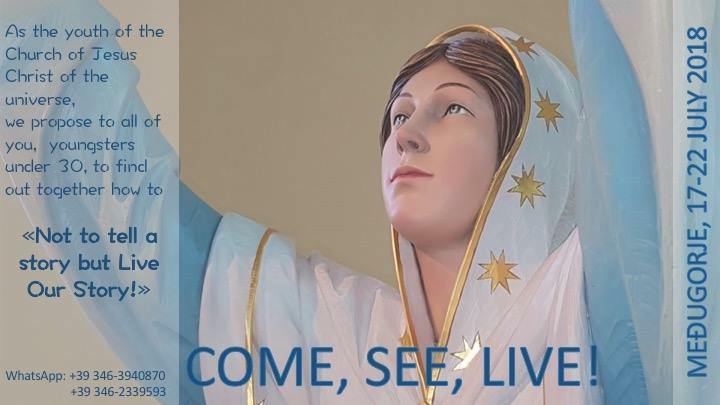 There is a commission that examines the apparitions of Our Lady in Medjugorje; yet, can they be examined in a scientific way? I remember very well when the atheists came, the communists in Medjugorje; they understood quickly, in one year. I remember well how at the first anniversary of the apparitions we saw nice men with neckties arrive, and we knew immediately who they were: secret agents who watched and observed everything. Later on we learned that there were more than a thousand agents watching the phenomenon, and after the apparitions on state level the decision was taken: nothing hostile is present; we must change our strategy. The strategy was to exploit this place for religious tourism. Thus, if the Atheists were able to come to this conclusion, where was the Church that considers herself infallible? And why did those who came welcome Our Lady in such a superficial way? She had said to us, “When you adore the Eucharistic Jesus, I am present in a special way” – in a special way! Thus, do we participate in the adoration because it is something special, we like it and we have fun? Or, do we offer ourselves in the way She did and in the way Jesus offered Himself so that we are regenerated? You, who are married, you know what it means when your love is not returned: how much does that hurt, what a nightmare. No one can hurt you as deeply as your partner. Do you agree? We all know how it is when a friend betrays us – what a stab in the heart. But can we hope in a change of the world or our life if we betray Jesus Christ? He said, “This is my Body”. He said, “You will live for Me, through Me; you will dwell in Me and resuscitate in Me.“ To me it seems that generally people ask the same question as the Jews: “How can this man give us his flesh to eat?” Of course, the question is asked in different ways and in different circumstances. However, we betray Jesus Christ if we do not feed ourselves of Him, if we do not wash ourselves with His Blood. Yet, we cannot feed ourselves of Him, nor wash in His Blood if we do not want to participate in His life. So, this is conjugal fidelity, the fidelity of the spouses. We are spouses of Christ if we want to live the Eucharist. I repeat: the commission has studied the apparitions of Our Lady in Medjugorje, but have these scientists been there to kneel down, pray and fast? A scientist known to me who was sent by the bishop came there and dismissed me after five minutes: “Our Lady is not present here because we have to obey the bishop.” And I replied to him: “That would mean that all powerful, all governors, always have the truth in their pocket. The discernment of the spirits takes place on the level of the spirit.” Then he said, “Now I understand why St. Ignatius gave precisely that rule of discernment.” Spiritual events have to be discerned on a spiritual level not on a hierarchical level or a scientific level. Moreover, the scientists would have to tell the truth and not submit to the authority to satisfy it; however, it is much more convenient to bow down to the authority than to die to oneself. The question arises: How can Our Lady remain present every day for thirty-five years? Which powerful of the Earth may ask God, who is mystery, what He wants to do and how He intends to do it? Should we not show a little bit of humility to admit that God is God and Our Lady is Our Lady, as She is actually defined as the sublime member of the Mystical Body of Christ, the Mother, the Queen? Just a little bit of humility. Nevertheless, Our Lady will remain with the new people until they enter the new creation; she will accompany us. Thus, let us thank God for the Eucharist; let us love the Eucharist; let us adore it with our soul; let us live according to the Eucharistic Jesus. Let us be united with Mary who stayed in the midst of us and who will not abandon Her people until She enters the new creation with all of the people, of course, at the glorious coming of Christ, through Jesus Christ who sacrificed Himself for each one of us. And I bless you; may the grace of this day enter deep in your heart and in your life; may you be able to nourish yourselves and choose new ways to participate in the Eucharist and to dedicate time and strength to your loved Spouse. I bless you; may you be filled by the power of the Risen Christ; may you be able to give a response to those who are waiting for the salvation in this time and to anyone in the universe who wishes to learn the truth; in the name of the Father, of the Son and of the Holy Spirit.